I've been waiting in anticipation to see what was in the July Birchbox and as soon as the photos and posts started going up, I was right there reading them to see what goodies were in store. 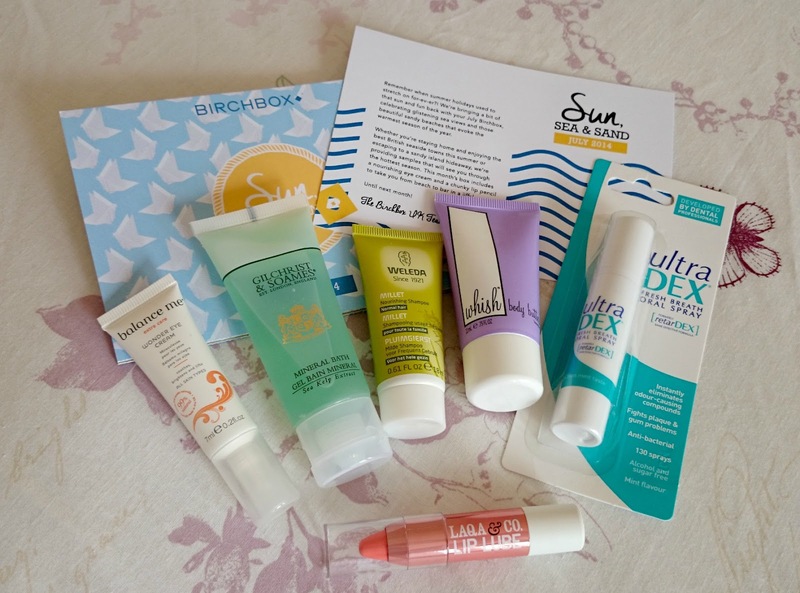 I was very kindly sent the July box by the lovely people at Birchbox to review. I've been umming and ahhing about whether or not to subscribe to a monthly beauty box but I've always been unsure as to who to go to but so far I'm really enjoying these ones. The boxes are also really handy to store things in too. 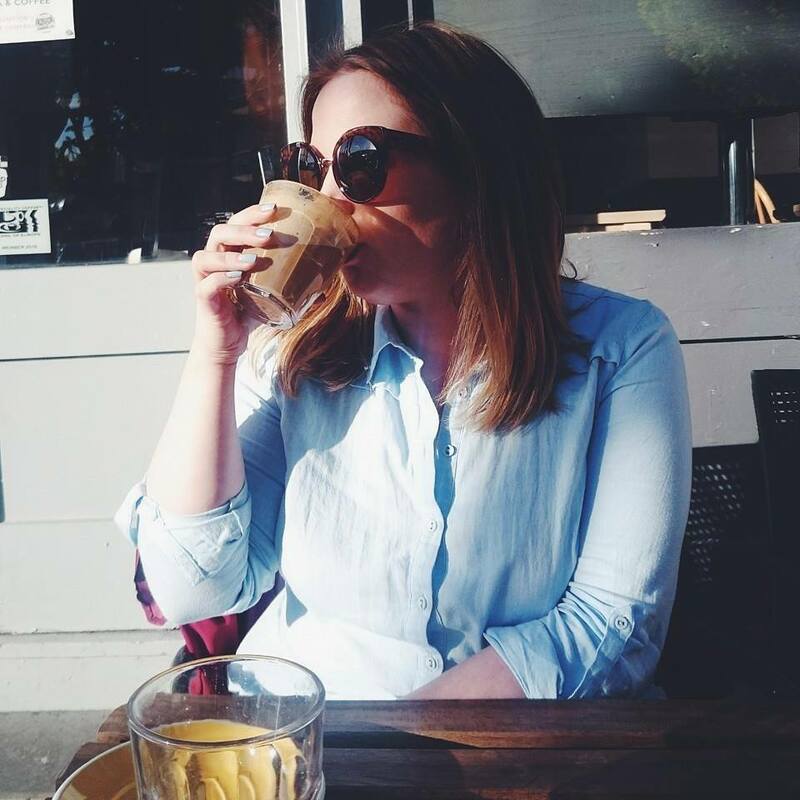 Blogger storage issues! This months box was a Sun, Sea & Sand theme and full of all the essentials you would need for a weekend away. Inside mine was a Weleda Nourishing Shampoo | £8.95, Balance Me Wonder Eye Cream | £20, Laqa & Co Lip Lube in Bees Knees | £14, Gilchrist & Soames Sea Kelp Mineral Bath | £11.25, Whish Lavender Body Butter | £14.50 and finally Ultradex Oral Spray | £3.65. Balance Me is a brand I've used before and love, so the eye cream is going to straight into my skincare routine. The Laqa & Co lip lube is a lovely coral colour and perfect for on the go touch ups, especially at work. The Gilchrist & Soames Mineral Bath is my favourite out of the box. It smells divine, left my skin silky smooth and it totally relaxed me. The two things I weren't that keen on were the Whish Lavender Body Butter and Weleda Shampoo. I don't like lavender when put into products because the scent is just ruined and you end up smelling like an old lady. The shampoo just doesn't appeal as I love my trusty John Freida too much.. it is a handy size for going away though but that's about it. Are you signed up for Birchbox? What did you think of this months box? It's a nice enough box but the products look quite small. I think I have been spoilt by Memebox where the products are generally full sized.